The novelist discusses the thoughtful matchmaking of book giving and being an unabashed word nerd. 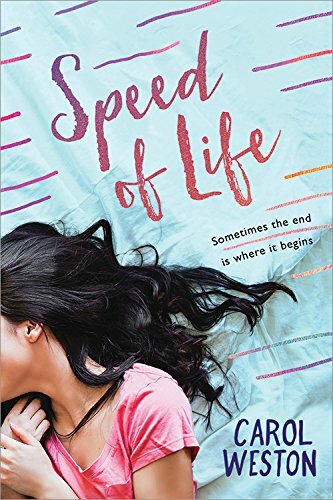 Carol Weston’s Speed of Life is a heartbreaking, heartwarming story of a girl who thinks her life is over, when really it’s just beginning. Sofia lost her mother eight months ago, and her friends were there for her. Now it’s a new year, and they’re ready for Sofia to move on. The problem is, Sofia can’t bounce back; she can’t recharge like a cellphone. She decides to write Dear Kate, an advice columnist for Fifteen Magazine, and is surprised to receive a fast reply. Soon the two are exchanging emails, and Sofia spills all, including a few worries that are totally embarrassing. Turns out, even advice columnists don’t have all the answers, and one day Sofia learns a secret that flips her world upside down. Perceptively moving, Speed of Life is a novel about love, family, grief, and growing up. Recently, Carol spoke with Read It Forward about the lessons to be learned from Aesop’s animals and how she falls hard for literary fiction. I just finished Willa Cather’s My Antonia, which I’d missed in high school. I’ll never think about ululating wolves in the same way again. My own book club has been meeting for 25 years—and some of us are characters! I'd rather talk to authors than characters. After all, some interesting protagonists are mighty flawed, like Anna Karenina or Madame Bovary, but who wouldn’t want to break bread (or madeleines) with Tolstoy or Flaubert? But a book club? Let’s sign up Gabriel Garcia Márquez, because I underlined whole pages of One Hundred Years of Solitude; Richard Peck, because we were friends, and I adored his eloquence and sense of mischief; and Patty Dann, because we take morning walks twice a month in Riverside Park, and I love her company. I love the word magnanimousness—so nice and big. I don’t like the word hate. I’m a word nerd and linguist, and when J. Courtney Sullivan called my kids' novel Ava and Pip "a love letter to language" in the New York Times Book Review, that was the highest praise I could imagine. I give Harold and the Purple Crayon to expectant moms, and The Incredible Painting of Felix Clousseau and Charlotte’s Web to kids. I make a point of giving books to children because you never know if you might be the person who turns a kid into a reader. I don't have one go-to book because, for instance, someone who loved Homegoing or Hold Still or Life After Life might not like Less or The Nix or Small Great Things. I loved all of those books, but book giving is matchmaking. Henry and the Red Glove, long out of print. Aesop's Fables were my nightcap—I got my moral compass from those animals. In sixth grade, when I finished Charlie and the Chocolate Factory, I thought, "Wow! I wonder if there are any other good books out there?" Reader, I became a reader. Literary fiction. I fall into books that fall into that category. I like observing interesting lives, and I like when sentences sing. The closest wonderful indies near me are Book Culture and Bank Street Bookstore, right on Manhattan’s Upper West Side. We need bookstores, and bookstores need us, so I’m always reminding people that it's not fair to browse and then order online. Lonesome Dove! My mom was born near Archer City, Texas—Larry McMurtry's birthplace, and the site of Booked Up, his used bookstore. During long car rides, I listen to books, most recently Educated, The Signature of All Things, and The Grapes of Wrath, which I also missed in high school! 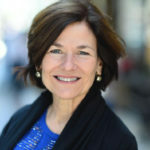 CAROL WESTON is the author of 16 books including Speed of Life, Ava and Pip, and Girltalk: All the Stuff Your Sister Never Told You. 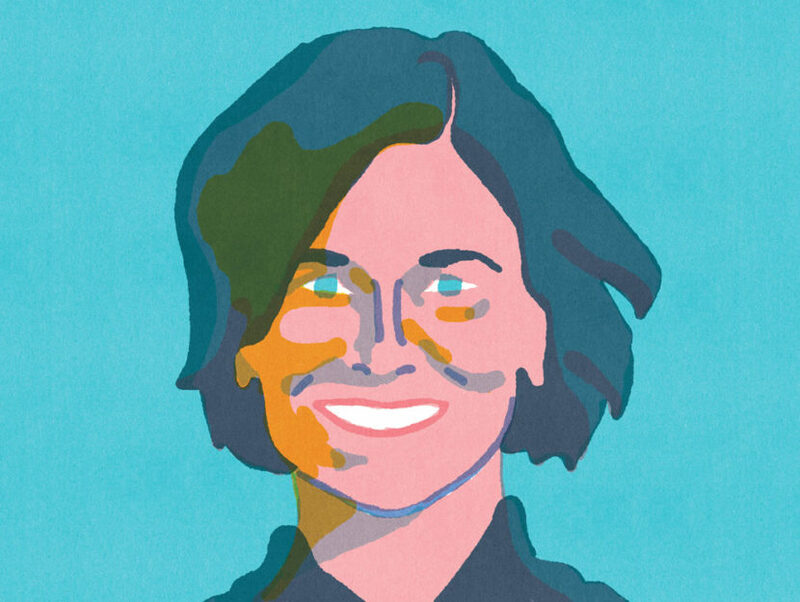 She lives in Manhattan and has been the “Dear Carol” advice columnist at Girls’ Life since 1994. More at carolweston.com.